Good day at the Mesa Storytelling festival yesterday. Met a Dad there who had purchased the www.daddyteller.com Ebook and had already told one of the stories to his preschool kid. The Dad said how much he liked the breakdown of the book all the way to telling him what to do with his hands during the story. When he told the preschool son in his arms that I was the guy who wrote the "donkey story," the child was completey unimpressed wtih me, but totally in love with his Daddy. As.It.Should.Be. Free audio stories for adults from StoryRise events. (Click here for the podcast.) We're really happy to kick off our new Storyrise podcast. Leading us off is storyteller Sandy Oglesby from Phoenix, AZ. She tells the story of "One Wish," an Irish folktale with a twisted path and ending. Enjoy. Don't forget to join us at Storyrise on the 3rd Saturday of each month in the West Valley of the greater Phoenix, AZ area. 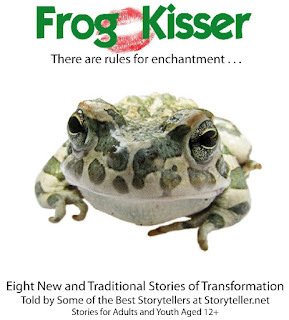 Sponsored in part by Storyteller.net and the DaddyTeller™ Ebook. More Podcasts will be posted soon from StoryRise. We have a huge backlog of stories to share with you. Subscribe to our updates at the StoryRise.com site and/or follow StoryRise on Twitter at @storyrise. Here is an adaptation of the article below this one, but set to a short video. The world needs fathers. Study after study confirms the important role of the father in a family. Let's improve your father-children relationship. Here are three quick and easy ways for Dads to relate better to their children. If you want to communicate better with your young kids, then learn to pay attention. Listening to a child while you channel surf, web surf or refrigerator surf is not really listening. Put down the remote or the mouse or close the 'fridge door. Pay attention to what your child is saying. By the way, this rule changes a bit when your kids, especially your sons, are older. A great way to get your teens to talk is do a shared activity together. You'll notice that I used the word "shared" in that sentence, right? All the media your child is exposed to shares one thing in common: all of it has your child's eyes and ears glued upon it. When you talk to your child, do you have their eye-contact? One of the greatest gifts we give to our children is looking them in the eye. Let them see you seeing them. Put down the storybook and tell them a story. Involve them in the tale. Advertisers are not hesitant to look your kids in the eye. You should do no less. 3. Make your child's needs the priority. As more and more dads, thankfully, become much more active in parenting, I read more about fathers who do not like kiddie things. I have read several posts, for example, about how some stay-at-home dads don't like kid's music and wish to substitute rock artists for kids musicians. Although some of these daddy-blogger posts are written tongue-in-cheek, there is an underlying issue: kid things are not designed for dads. They are designed for kids. Don't be in a hurry to bypass the usefulness of all the kiddie toys and noise that is out there. The "Wheels On The Bus" song is driving you crazy? Let it make you crazy and let your kids listen to it a hundred times a day if they want. Raising four kids in our house, I can assure you that this phase doesn't last long. Very soon, you'll be dealing with the wheels on the car which is under your teen's control as it is driven from your home. The repetition of songs and stories is important for your child's development and even future skills for learning and school. Be focused on what your kids need, not what you want. In reality, all three of these ideas are really expressing the same need: Dads, give your kids the gift of your attention. You don't need to be father of the year. You need to be the best daddy you can to your kids. 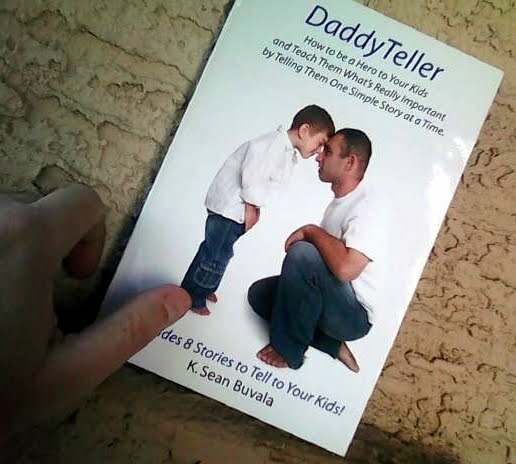 Sean Buvala, father of four and a professional storyteller, is the author of the book "DaddyTeller™: Be a Hero to Your Kids and Teach Them What's Really Important by Telling Them One Simple Story at a Time." You can read more about his Daddy/Child improving work by visiting http://www.daddyteller.com. I think the entire idea of developing an elevator pitch should be scrapped. Over at A Storied Career Blog, Katherine has posted a discussion about the issues of putting storytelling into one's elevator speech. Overall, I think Katherine has a great blog. This particular post, however, reminds me of one of my frequent battles: The Elevator Speech Is Dead. It always surprises me to see people teaching this archaic communication tool. The "elevator pitch" (EP) is designed to snag or sell. Are we still doing that in today's world? Are we still trying to "get" people? Is this the 90's where the whole world is full of dot-com startups begging for a venture capitalist to give a moment of attention? Storytelling is a sole and single source of business communication that contains everything you need to communicate. Our job, no matter what our work is, is to create our Core Story. Once that is done and done correctly through the use of episodic creation, we now have a tool that can be broken down into the very quickest of communication in an elevator to a full-on presentation in a keynote. Trying to make a story fit our EP (uggh) is like building a house and then wondering if you can find a way to pour some cement into the foundation now that the house is finished. Start with storytelling and your core story, not with an elevator speech. Start with the full knowledge and understanding of your story and then the rest falls right into place. Yes, it's still work but at least you are not trying to fit an elephant into a tutu. There is so much going on where folks are dabbling in storytelling rather than embracing it for the essential and most foundation too that it is. I've been teaching my clients for years now: choose a project, wipe the slate clean and build your new approach upon the foundation of the story and storytelling techniques. Today we launch our latest Ebook! DaddyTeller™ has arrived. 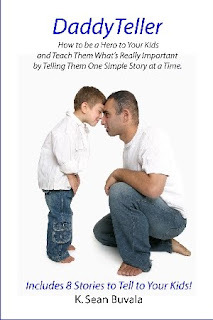 Focusing on helping any Dad tell stories to his kids, this affordable Ebook is available today with an instant download by visiting http://www.daddyteller.com. Written by award-winning K. Sean Buvala, a 23 year veteran of the storytelling movement, we help Dad put down the storybooks and look into the eyes of his children while he tells them stories that pass on values, build communication, improve reading and math skills and create memories that will live far beyond the moment. 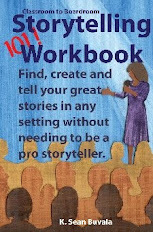 Filled with training and coaching, the book includes 8 stories with step-by-step instructions on what to say and how to say it. Going beyond fathering tips, this is a very specific guidebook. The "DaddyTeller™: Be a Hero to Your Kids and Teach Them What's Important by Telling Them One Simple Story at a Time" Ebook is available now at the initial launch price of just $14.95. This Ebook is just the beginning of the DaddyTeller™ project. Be part of the first to join this unique learning and telling community. The more esoteric your work is, the more you need to use storytelling in your job. To those of you in the IT (or any technology at all) and Research departments, I am talking to you. Sometimes it is hard for the others in your company to understand the ins and outs of the mysteries of technology and research. By using the power of storytelling techniques in your communications, you can create the "frames" to highlight, carry and explain the bigger concepts of your work. Every house I have ever been in has a wall or table filled with pictures of family and friends. Rather than just glue these pictures to the wall, the pictures are placed in frames that help draw the eye to the subjects contained within. In the most artistic of homes, the frames surrounding these pictures have been carefully chosen to help emphasize the content of the pictures. Done well, the frames are an extension of the pictures. The more important the pictures (the "everybody in the family" type) have the most expensive and sturdy frames. Just like these picture frames in someone's home, your ability to frame your complicated and important data in the context of a memorable story will protect and carry your message to your listeners. You could talk about the collection methods used to complete a survey and how that proves the validity of the data. However, folks want results first. So, instead of talking first about how the data means you must completely drop an ingrained and "sacred cow" program from your company, you could start with the story of "Jack and the Beanstalk," (JATBS) emphasizing how Jack's mother was furious with Jack for trading her sacred cow for a few magic beans. However, in the end, Jack ends up with a goose that lays golden eggs, giving Jack and his mother more than they ever dreamed of. You will the present your data after you tell your version of JATBS, showing the data that correlates to your conclusion. Then, you might lead a discussion based on the data that asks, "Just like the mother in JATBS, what do we in our company fear from what the data tells us? In what ways is this data like magic beans for our company's future?" You can then end your presentation with a recap of JATBS. Now, you have framed your data (data is important and needed) in the center of a very familiar and comfortable story. I can assure you that the first time you do this process, you will wade through some discomfort and come out with a presentation that will cement the conclusions of your data into the minds of your listeners. Here are three things you should know about story and narrative as framing tools. 1. People just want to know "what's in it for me?" Your fellow employees are not as interested in the mechanics of your job as you are. I know you have gone to school to learn how statics work. I know you understand the many ways to hook up one computer to another in your office. However, the people you work with have not gone to the same schools you have. For most of them, how you collected the data is not nearly as important as what the data implies and instructs for their work. Storytelling lets you talk about benefits of research and technology, not just mechanics. 2. Stories remind you to speak in the language of the people: your fellow employees. Although the idea of the uncommunicative IT employee is an unfair cultural joke, there are those in your company that are still slightly afraid of you. When they know you will speak in ways they understand, they are more open to hear what you have to say. When you can give folks the story of how others have benefited by the work you are proposing, they will feel better about providing you the tools and time to fulfill your projects. In a sense, storytelling allows others to know you are "on their side." It's far better to talk to others about how Susan at the other office could get twice as much work done in the same amount time after the expensive software update you have proposed rather than list of the uncommon features of database processing. 3. Your CFO approves funds for results not information. Most people hate the process of change. Results are better than promises. Stories are the frames that carry results. You will get much more support for any project when folks know how others have benefited from your proposals. How the office across the city became so efficient that they now have a four-day workweek is one-hundred percent more effective in getting results than any presentation of how a Blade server works. Your work in statics, data and technology is vital to your company. Even more vital is your ability to communicate the benefits of your work to the rest of your company through good business presentation skills. Information framed in the context of story, information carried by understandable narratives, will stick with your fellow staff members much longer than data alone. Take a chance and frame your next presentation in story. Go deeper into this subject on how to create a story with my short-and-focused book on designing your stories: "Measures of Story," over on Amazon. Sean Buvala is an award-winning trainer who teaches businesses and nonprofit organizations how to grow their bottom line and employee satisfaction through the power of storytelling. You learn more about his work at www.seantells.com. Follow him at Twitter @storyteller . Your nonprofit organization will grow both the financial bottom line and staff satisfaction when you incorporate storytelling into your organization's internal communications.You need to water deeply. As a leader of a nonprofit organization, it might be easy for individual staff and volunteers to be focused just on those who receive the services of the organization. However, does your group remember to talk to each other about your own work? Nonprofit storytelling is not just for the outside customers, it is for our very own staff members. Stories can inspire your staff, improve staff retention and grow job satisfaction. You will see greater nonprofit fundraising. In turn, a happy organization generates deeper satisfaction among clients and benefactors. 1. Leaders should know and speak the stories of everyday successes. Do your nonprofit's leaders only speak to everyone when there is a problem? Stories are everywhere in an organization and they can be easy to find. I teach several methods for story gathering, but whatever method you choose to use, do something to solicit and find the stories of your company. When using storytelling for nonprofit organizations, the leaders must be the first to demonstrate this communication technique and they should seek to do so for every level of staff. 2. At least once a calendar quarter, have a single department share in-depth stories about their role in the organization. Are your staff meetings limited to cursory sharing of agendas? My wife is a gardener. Among other things, I have learned from her is that plants not only need the surface watering on a regular basis, but that they benefit from a "deep" watering occasionally. Much like these plants, your company needs to be "deep" in sharing their stories. I have been on staff for many nonprofits. In our busyness, our staff meetings were reduced to around-the-table updating, doing not much more than checking in. To grow your staff cohesion, make a monthly gathering where one department shares both the success and challenge stories. 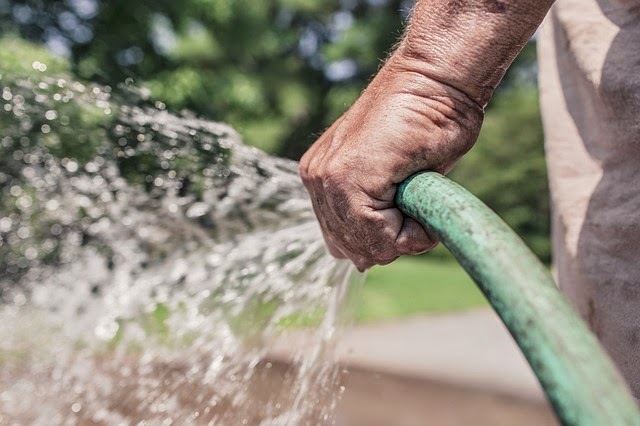 As the deep watering that my gardener wife does for her trees, let these monthly or quarterly gatherings feed the roots of the entire organization. 3. Be sure volunteer training includes stories from other volunteers. Do you assume your volunteers (or those seeking nonprofit jobs) are present because they really understand your group? As a nonprofit leader, I have seen how quickly some volunteers can burn out, especially in jobs requiring a great deal of face-to-face interaction. It is easy to assume that volunteers completely understand your mission statement. Of course, that is false. When your volunteers know the joys, challenges and reasonable expectations of your group, they will be more inspired to stay longer with your group. Mixing in a generous portion of stories (fun and serious) to your training will have long-term benefits. 4. Invite, rather than require, staff to create stories of the organization. Mandatory story sharing results in low quality stories. Gathering stories is a natural process but sometimes your staff needs to be reminded how to do so. Rather than mandate to a group, teach them skills. Your stories will be much more genuine as they grow out of desire to share and not a requirement to meet a quota. 5. Never be afraid of negative stories. I have found that negative stories (complaints) are a more effective gauge of staff satisfaction or job issues than any comment box will ever be. In any organization there will be moments of success and sometimes challenge. Learn to listen carefully to all stories you hear. What are the trends and patterns? Before a staff issue becomes a major problem, it first appears as a few whispers. Are you listening to these stories? In thinking about your own work history, what problems might have been avoided if management had been carefully listening rather than defending or suppressing issues? Strive to implement these "internal customer" tips for the health of your nonprofit group. Thinking of starting a nonprofit organization? Make these steps an integral part of your initial plans. K. Sean Buvala is a national leader in the communication skill of storytelling for business. An award-winning veteran of nearly three decades in storytelling, he uses his experience in the non-profit industry to help you grow your bottom line and increase staff satisfaction. Learn more at nononsensestorytelling.com. For daily tips, follow him at Twitter @storyteller . We are offering our "Intro to Business Storytelling Workshop" on Wednesday, September 9, 2009. We meet at 9:00AM for about two hours. We will be meeting in Avondale, AZ. Who should attend? We welcome nonprofit leaders, business management, small-business owners, entrepreneurs, anyone involved in any type of leadership or business communications. This is a REAL WORKSHOP on storytelling techniques for nonprofit and business leaders. It is not a two-hour sales pitch. You will walk out of the workshop with at least one new, use-it-today skill in narrative communication, probably more. You will learn from Master Storyteller Sean Buvala, a storytelling trainer, of www.seantells.net. This first "come and see" workshop has a token fee. Sean normally gets a good consulting fee to teach this material, so you why not take advantage of this chance to get some professional training from an experienced storytelling consultant for business and nonprofit organizations. $39 per person, pre-registered with this form. Includes workshop, supplies and continental breakfast. 9:00 AM on September 9, 2009. We will be finished before noon. Please register at this link here. Being truthful leads to reconciliation. Truth is expressed in the story of change. Storytelling can be used for many different applications. One of the most difficult, but needed, application of storytelling is to express reconciliation, repentance and recompense. Let’s look at real-life and very public example. As of this writing, professional football player Michael Vick is in the news as he tries to make a comeback after spending two years in jail, "doing his time" for the abuse and torture of dogs while funding illegal dog fighting. He’s on his own personal quest to be restored to his previous national career while trying to express that he’s learned his lesson, repaid his debt to society and is a new man. Michael Vick needs to learn the art of storytelling. He needs to learn to tell the Truths he has learned. He needs storytelling to apologize. Understand that I am appalled at his abuse of animals. However, after working many years as a professional listener in nonprofit human services, I have seen people who have committed awful crimes become contributing, forgiven role models who were/are able to positively impact the world around them. I have to assume that Mr. Vick will be in that category. Time will tell. So, how does the Michael Vick(s) of the world seek this forgiveness? Well, along with contributions of time and treasure to causes that externally demonstrate their internal conversions, they need to craft their true story of their journey. Here are six steps to creating the story for redemption. No mastery of storytelling techniques or communication skills will help if you aren’t ready to tell the truth about the past, present and future. When you need forgiveness and a second chance, you need to speak the truth. If not, you simply won’t have an audience when you are trying to get forgiveness the next time around. 2. Start the story with the vision of the future. 3. Acknowledge your "sin" against the world. Be prepared to use the word "I" when speaking, not some generic "you." "I did . . . " is the correct phrase, not "sometimes you find yourself doing . . . " The use of "I" acknowledges and owns your failings. "You" means you are still not convinced of your failure. For those of you who follow my storytelling training, you know I teach you how to break your stories into Episodic Telling. In your storytelling, some folks need to know more about your failure than others. In Michael Vick’s case, when he talks to others involved in dog fighting, his story will be more graphic. When talking to wayward youth, he might omit some details. An audience of PETA or animal-rights activists will require even different episodes. 4. Tell us about how you have paid your debt. Let your audience know how the paying of that debt affected you both physically and emotionally. It’s time to dump the anecdotes and really talk about your life, your feelings, your fall. I’ve heard Mr. Vick say he was a jail janitor who made pennies per hour. That is only an anecdote. I don’t yet know how he felt; that will come from his storytelling. Tell me the story of working for pennies when you once had millions. Caution! I am not talking about chest beating and crying on stage. Perhaps images of weeping evangelists come to mind? Although I want to know how you feel, I do not want you to use your story to dump emotion on me. Save that for your therapist . . . or court. 5. Express the actions you are taking now, in the present and future, that demonstrate how you have changed. What are you doing now to create change in yourself and society? Here you are repeating the opening of your vision for your future. However, this time, do not just tell us about your thoughts, show us your feelings again. What have you learned? How has your "heart" changed? How is your life impacted and challenged because of your new actions? Storytelling is not always used for fantasy time. Storytelling has been used always to teach and instruct. In some cases, when the desire to change is genuine, the power of storytelling can reconcile people and communities. Sean Buvala is the executive director of Storyteller.net and an executive speaking coach training the use of storytelling to effect organizational change. "Should I be on (fill in name of social media)?" is a frequently asked question during coaching sessions with Sean Buvala. In this free telecourse, Sean will look at the various popular social media services such as Twitter, LinkedIn, MySpace, Facebook and Ning in light of their advantages and disadvantages for working performing artists. When we are done, you’ll have a clearer understanding of the place of these types of services in your marketing plan. Be sure to double check where YOUR time zone falls between those two! If you are unsure, use this link to find a city near you in the same time zone. Time zones listed are U.S standards. Participants in our telecourses come from all over the world. Everyone is welcome. Check the link above to find a city near you in your country. To register, please visit Storyteller.net at this link now. 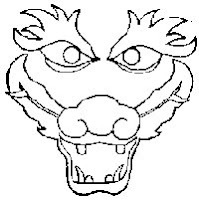 I've just launched the "Welcome Back, Dragon Handlers" site for my 'back to school" or teacher professional development days. You can find this site at www.DragonHandlers.com. You can hear a 4 minute clip of me speaking to a teachers' convocation as well as learn more about this very specialized keynote for educational events. We've priced this as very affordable for any school district gathering. Please come take a look. Episode Five Podcast: "The Elevator Speech is Dead"
Sean Buvala talks this week about the archaic concept of the elevator speech. The elevator speech: when you learn a singular "speech" to talk about your business with new clients and customers. Rather, Sean talks about learning the power of your story to be used in different time frames. Sean also tells you the obscure Grimm tale of "Not Much." You’ll also hear from a listener who called in to tell us his reaction to these podcasts. 10 minutes. You can find all of the podcasts in this series at at this link here. We are happy to tell you that we will be hosting the First Performing Artists' Open Conference this year in the Phoenix, AZ area. The Performing Artists' Open Conference (PAOC): The Convention We Create Together. 2009 THEME: "We Create Together"
What is an Open Conference? Although there are many definitions, an open conference is created by the participants. There are no stars or featured speakers. Rather, our open conference, much like the unconference idea, has workshops, performances and activities planned by the participants. If you wish, you can "throw your hat into the ring" and submit a proposal. Unlike most conferences, this PAOC does not have a committee to decide which proposals get accepted and which do not. Instead, all participants, on the first night, vote on which workshops they would like to participate in. From this vote, the rest of the conference is laid out and you'll be free to attend the workshops you would like when they are available during the weekend. YOU could be a presenter. You will need to bring your creativity, your freshest ideas, your "best game" to this event and use your best presentation skills. Your workshop proposal might or might not be accepted by the group, who knows? Regardless, you are sure to hear other workshops that inform you of new ideas and topics in regards to the performing arts. To see the workshop guidelines, please click this link now. There are only a few organized, large group events at the PAOC. Of course, there's the voting process on Friday. Lunch is provided each day. There is a concert of performing artists on the second night, with slots filled by names drawn by lottery from the participants who want to perform. Finally, on the last day, we will hold a large group "what did you learn and hear" process to share insights and challenges. The PAOC is not for everybody. If you want to hear ideas that might not be getting "play" at the large conferences, then this event is for you. If you enjoy spontaneous creation and discussion of the arts with others, then come to the PAOC. If you need high levels of control and no surprises, then the PAOC will not be a good choice for you. If you can laugh and enjoy the company of other artists regardless of who is chosen to present, then we would love to have you. If you can enjoy the creative use of the conference space and are flexible, then you are going to enjoy your time at the PAOC. Without the long "juried workshops" process of other conferences, you might hear some brilliant speakers and presenters or you might not. ANYONE can submit a proposal for a workshop. You must register for the workshop to submit a form. And if your workshop/performance/event is not selected, there is no refund of fees. Come with a thick skin, a sense of humor and just stay and enjoy your time with the other presentations and new friends you are going to meet. Most of the workshops will be recorded in some format and these recordings will be made available at no charge on our website. You are also encouraged to "blog" and Twitter the conference as we go along. The conference location is easy to access from the greater Phoenix area and is about 25 miles away from the PHX airport. It's easy and convenient to get to this location. In addition, there are a number of dining and shopping options within easy walking distance. the hotel directly and tell them the code "storytellers" to get this discount rate. Performing artists of all disciplines, those who love the performing arts, administrators and staff of arts programs, those who want to or do pursue the arts professionally, arts hobbyists, journalists who cover the arts, teachers, librarians and other folks we haven't listed yet. Beginners or veterans. Those who want to present and perform are welcome as are those who just want to participate as audience and workshop members. Come on out to the desert and forge some new understandings. chance to submit proposal (optional) and a few other surprises. $209 Early Bird Registration by May 30. If you are a member of any of our MasterMind groups or an alumni of any of our previous conferences, please contact Sean at sean@storyteller.net for your costs and deadlines. Workshop proposals must be received by August 7 to be included in the voting. Register now to avoid missing this deadline. A workshop submission form will be included in your registration packet. ages of 13 and 18 may register as a participant with an attending adult. There is no registration option for non-participants. This workshop is presented in part by funding from Storyteller.net. You may use the Paypal button here to register for the $209 early-bird price. PayPal account is not required. Use your credit card. You may contact us at our office at 623.298.4548 or staff@storyteller.net . More information will appear on this website soon. PO Box 392 Tolleson, AZ 85353. Non Profit Leaders: Do Your Volunteers Know Your Story? Yesterday, on my way into the grocery store, a woman sitting at "animal rescue" table asked me if I would like to donate to their rescue shelter. As I made my way into the store, I had both the time and the inclination to listen to her ask for a donation as my family has been connected to the work of rescue shelters for more than six years. (You can see the website at 3lostdogs.com.) As well, we have three "rescued" shelter dogs in our life. So, I am open to the idea that these volunteers were promoting. I also know that these impromptu tables are an important non profit funding source. I asked her, "What does your shelter do?" The volunteer was not ready to answer my question. She did not know the story of the shelter she was representing. Her only answer was, "We do the adoptions at the (name of pet store)." Outside of that, she did not know what to say. So, unlike most people passing her table, I stopped long enough to actually talk to her. I was a prime-candidate to donate money to her cause. However, she had not been trained in how to talk to potential donors. Either she did not know the story of her group or she had not been trained to speak about her organization. This, of course, is not her fault. Her lack of preparedness was the fault of the director of her non-profit organization. It is possible that she had been trained on where to find the table that she needed, what to do with the money she collected and where to turn in the forms at the end of her shift. She was not trained in talking about the mission of her organization. How about your volunteers and employees? Have they been trained to tell both their story of why they volunteer as well as the story of your organization? I am not talking about elevator speeches here. These elevator speeches, also know as unique selling points, are static anecdotes used to snare others. Rather, knowing the multiple stories of your organizations and how to adapt them to both casual and formal situations is a key skill for your staff, both volunteer and paid. Here are three steps you need to follow to prepare your staff to use the power of story in your non-profit organization. 1. Collect the stories of your group. There are a variety of techniques available to aid any organization in the collection of their stories. However, the best method is the oldest method: listen. Train your staff to think about stories. Ask them to think: what is happening/has happened that others need to know about? Find a way to share these stories at regular gatherings. Never make story sharing mandatory in any setting. Although many trainers advocate this, the pressure of "I must have a story" results in poor stories shared when your staff is under pressure to come up with anything. Stories should always be gathered in an organic or grass-roots process. 2. Train staff in the essential skills (the how-to) of storytelling. The best investment you can make in your organization's future is to enlist the help of an experienced storytelling coach to teach your staff and volunteers to tell stories. You want your team to be able to know and tell your core or essential stories in a variety of time formats. For example, the volunteer I encountered outside the grocery store might have known the 20-minute story of their organization but had not been trained to tell it to me in a two-minute setting. She would need to know both the long and short versions. You also want your team to be able to use stories as frames for presentations that require quantities of data and shared information. Teach storytelling techniques first and save the high-level theories of storytelling for advanced classes once your staff has had success with storytelling. 3. All non-profit leadership must use stories at every gathering. In every public speaking setting, from formal board meetings to casual walk-arounds, the leadership of the organization must fully immerse themselves in the use of story. Despite the glut of storytelling-for-business consultants available, the idea of storytelling for adults in a business setting remains challenging for many. Your leadership team, from the top on down, must clearly demonstrate the importance of story in all settings. In even good economic times, a non-profit organization must have a strong command of their past, present and future stories. Your potential donors are interested in what their money can do in your organization, assuming your mission aligns with their values. Are your volunteers ready to speak your mission statement, not in overused mission "statement-eese," but rather in the geniune stories of your group's daily experiences? Expressing your organization's story should be a skill for all of your staff. It is a requirement for business communication today. Consider everyone in your organization to be public speakers. Your experiences, expressed in story, are the unique features of your group. Be sure your donors can understand them. I did explain to the volunteer outside the grocery store about my family's history with rescued animals and thanked her for the good work she was promoting in defense of abandoned animals. Her work was important and I hope she had some success in collecting funds for their rescue project. However, I knew that she was unprepared for real conversations about the work and mission of her group. I hope that the leadership of her group soon gets a chance to teach their staff to tell the real stories of the challenges and successes of their charity. Good stories, willing listeners and a staff trained in public speaking skills are tangible assets that every non-profit group must have. Three Quick Fixes to Your Storytelling for Business. Having done executive coaching and corporate storytelling training over the last 23 years, I have seen many common mistakes from folks wishing to use storytelling for business presentations. Here are three of my quick fixes for public speaking issues. Fix Number One: Take your story seriously. World stories, myths and legends have endured for many centuries because of their ability to carry powerful messages in the small space of well-selected words. Use this power carefully. When I work with clients, they will often have spent many hours on their appearance, their eye contact and the slides they will project. However, they only spend minutes on story selection and presentation. This is a big mistake. There is no such thing as a simple story. Stories are powerful tools and, used incorrectly, they will explode back at you. Stories selected with care, crafted with good storytelling techniques and told with an intentional purpose will create a long-lasting impact on your audience. Your listeners will remember your stories long after the memory of your nice tie, fancy dress or overhead slides quickly fades away. Fix Number Two: Plan the gestures you will use. Your hands do not always need to be in motion nor held clasped in front of you as if you were carrying a bouquet of flowers. Avoid making choppy hand movements with eve-ry syl-la-ble you speak. Plan your gestures to match your story and move effortlessly and smoothly from one gesture to another. Let you hands rest naturally at your sides in between gestures. Try to avoid the finger pyramids or hand clasping between gestures. Fix Number Three: Speak in your natural voice. One of the best time investments you can make as a public speaker is to watch a professional storyteller speak to your target demographic of adults. You will see and hear the differences between how one tells stories to adults and how one practices storytelling for children. You must avoid the "sing song" voice of the unpracticed storyteller, who, like revered hosts of children's television programming, makes a lilting vocal pattern that sends adult audiences screaming out of the room. Also, be aware that when you speak personal or "real" stories about your company you do not imitate or mimic the voices of others. Speak in your own voice. In most cases, do not change your voice to reflect your perceptions of the gender, race, regional origin or social status of those of which you are speaking. Mimicking another can quickly backfire on you, causing you to lose goodwill and trust with your audience. Applying these quick fixes for public speaking will help your audience to be fully immersed in your presentation. Your storytelling, well prepared and well coached, can lower your public speaking anxiety and make you one of the best business speakers your audience has ever heard. Sean Buvala ( Twitter him @storyteller) is an award-winning storyteller, experienced business speaker and executive speaking coach who helps businesses grow their bottom line and create employee satisfaction through the power of storytelling. His website is http://www.seantells.com. He offers private training and coaching. National Professional Storyteller Brings Live, Literacy-Building Performance to Maryvale-Area School on Friday, February 27, 2009. Avondale Arizona- As part of the literacy program of "Read Across America," the students at Lela Alston Elementary School in the Maryvale area of the West Valley will be treated to a presentation by national professional storyteller K. Sean Buvala on Friday, February 27, 2009 at 11:00 in the morning. The school is located at 4006 West Osborn Road in Phoenix. As a presenter for the school's "Read Across America Program," Sean Buvala will use oral storytelling to entice the students to explore the many great books in the libraries in their neighborhoods and school. Mr. Buvala is donating the performance to the low-income school. "As a storyteller, I don't actually read books to students," Mr. Buvala said. "Rather, through the use of the oral tradition, my stories excite kids to jump up and go directly to the 398.2 section of the library to find many of the stories I've told them. Often, at the end of my programs, I will tell students just the first half of a story. After the final applause, it never fails that students will immediately go to the bookshelves to find the final portion of the story. I have even seen a few teachers peruse the library or the classroom Internet to find the story themselves." Research indicates that teaching children to create and communicate with oral storytelling improves reading and writing skills and test scores. Buvala stated, "Oral storytelling not only encourages kids to use their imaginations but helps with other skills such as sequencing and vocabulary development. Principals have told me that adding storytelling and other performing arts increases the overall test scores of the students. Over the last several decades, I have been honored to help bring the power of story to so many schools and certainly am glad to help Alston school achieve their goals as well." Sean Buvala, the director of Storyteller.net with more than two decades of national experience, is especially glad to help schools in his home state of Arizona. "I travel frequently to teach in a variety of corporate and school settings. It is always an honor and even fun to do things here in my own hometown. Most recently, I did a tour of the Washington school district here and that was a very unique opportunity to be involved in my own community." Mr. Buvala, who also teaches corporate storytelling workshops in Avondale, Arizona, can be reached at his website at www.seantells.com. For more information about the Lela Alston Elementary school, please contact their office at (602) 442-3000. Press Release: "Bobby Jindal's Response Speech Demonstrates Business Storytelling Do's and Don'ts." says National Storytelling Expert. Avondale, AZ- National storytelling expert and speaking coach, K. Sean Buvala, reviews Bobby Jindal's "Republican Response" speech and offers four public-speaking tips gleaned from the Governor's presentation. Buvala, the director of the national storytelling resource site at Storyteller.net, says, "Regardless of anyone's political preferences, the Governor's speech illustrates that stories and storytelling can be used in any type of important speech. As a corporate storyteller, I was happy to see yet another national figure make use of story in their presentation. I also think that any person using stories can learn four things from Mr. Jindal's speech." Use intentional hand gestures. Buvala says, "The Governor uses frequent, choppy hand gestures that are synchronous with the syllables of the words he speaks. It looks as if he is conducting an orchestra or cutting onions to the rhythm of his words. Speakers should plan the gestures that they will use with their stories. These intentional movements can then enhance the stories being told instead of being a distraction." Be careful when using "Me too" stories. Mr. Buvala continues, "While I appreciate and respect the Governor's family story of struggling immigrants, his narrative immediately following his comments regarding the president's family history both lessens and distracts from the power of the Governor's background story. In order to seem less like a 'me too' attempt at connection, the story might have served better at the end of the story. While it is a good thing that the Governor used stories, the placement of those stories must be carefully considered. " Use tone and pacing appropriate for your audience. Buvala notes that, "Bobby Jindal's pacing, tone and inflection during his speech reminded me of a school teacher giving a motivational speech to young children rather than a thoughtful reaction intended for thinking adults. The constant head nodding, the sharp intake of breath between sentences and the higher pitch of his speaking took power away from his stories, perhaps making his narratives sound childish. I'd suggest that the Governor concentrate on slowing his pace, intentionally speak with a lower pitch and allow himself to breath deeply by using longer pauses more often. Use stories to "frame" your presentation. "Finally," says Sean Buvala, "although Mr. Jindal's family history story might have been better placed in the speech, he does refer back to his opening story at the end of his presentation, when speaking again of his father's words. This process, called 'framing,' reminds the listeners of the central point of a talk, giving them a virtual 'frame' in which to see the ideas painted with the speaker's words." Buvala, who teaches monthly public workshops for business storytelling, knows that stories used in national conversations help unify listening audiences. "Governor Jindal's use of personal stories allows the audience to understand the speaker as a human being rather than just a 'talking head' for an ideology." For more information about group or private coaching in the art of storytelling for corporate or business use, please contact Sean Buvala via his website at www.seantells.net. "EXPERT CONSULTANT for the Press, Television and Radio"
Storytelling (both traditional and digital), performing artists, public speaking, corporate training, business coaching, non-profit organizations.